Are you still complaining that there is so much work to do that you have no spare time to keep your reading habit? Do not worry, as audiobooks was born to change the way we are reading over these years, you can listen to you favorite books while doing other things like driving, housework or exercising. Just like music, the audiobooks itself is a way of relaxation to kill time and enjoy yourself. And Audible did the good job at offering users wild variety of audiobooks and making them compatible with many portable devices like MP3 player, Kindle Fire, mobile phone to enhance the user experiences. Among which MP3 player is the most portable way to listen to audiobooks. So if you are avid audiobook lover who wants to listen to Audible audiobooks on your MP3 player, just follow the 2 ways below to transfer Audible .aa or .aax audiobooks to MP3 player. What Kind of MP3 Players Are Compatible with Audible? Besides Amazon Kindle devices, and the latest phones, tablets, many MP3 players including Sandisk MP3 Players, Creative MP3 Players and Garmin & Tom Tom GPS Devices also are compatible with Audible. And it's easy to transfer audiobooks you purchased from Audible to these MP3 players. Audible offers Audible Manager to help users transfer Audible audiobooks to MP3 players which is compatible with Audible. Here we share you guys the detailed steps to transfer Audible audiobooks to MP3 players with Audible Manager. Download and install Audible Manager on your PC, then plug in your MP3 player to PC via USB cable and launch Audible Manager. Click on Device > Add New Device, and a pop-up window will be shown to list all Audible Ready devices. You can select your MP3 player from the list and click "OK". Then a message will pop up to let you know that Audible Manager must be closed to install the component files. So please click "OK" to close the program and it will start installing a plug-in for MP3 player you selected. After the installation completed, you can re-launch Audible Manager on your PC and your MP3 player will be shown under Mobile Devices section from the left panel. 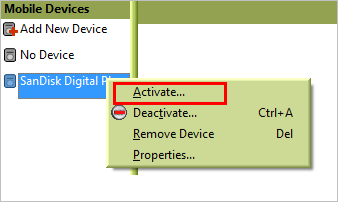 Right-click your MP3 player and click on "Activate…", then a window will pop up to let you log in your Audible account. 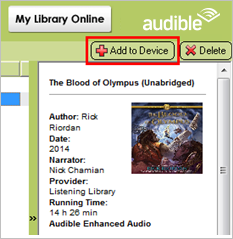 Now, you can select the Audible audiobooks and click Add to Device. Then a progress bar will be shown to indicate the transferring status. 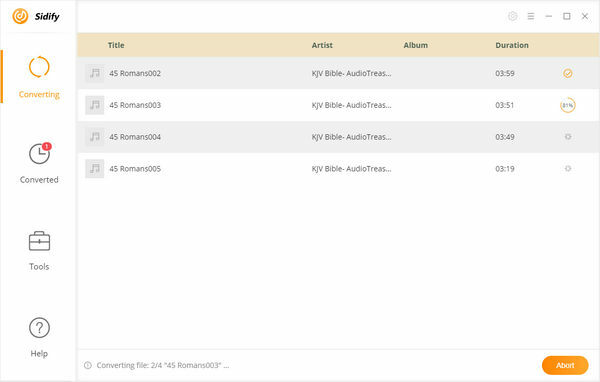 After the transferring progress completed, the Audible audiobooks will be successfully put into your MP3 player. However, not all MP3 players are compatible with Audible, so the method we mentioned on part 2 is impracticable now. Is there any way available to make you Audible auidbooks work for other more MP3 players which are incompatible with Audible? Due to the DRM protection, the audiobooks you purchased from Audible are only enabled to play on its authorized app or devices. 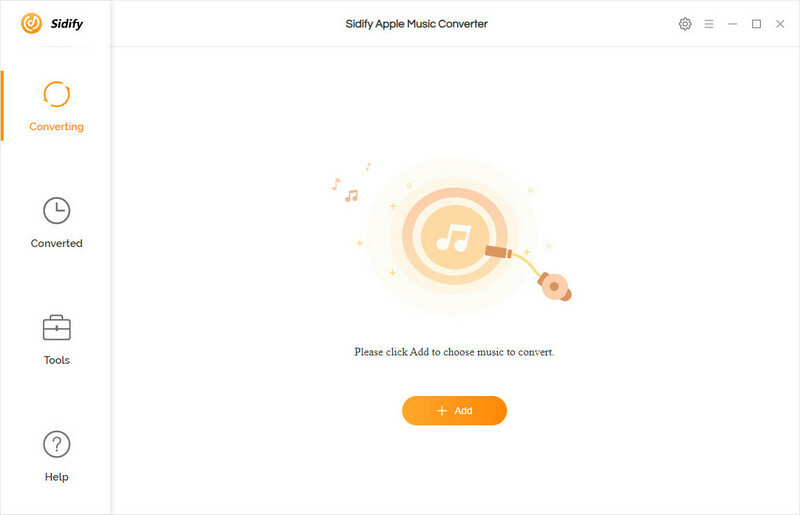 So if you wanna listen to Audible audibooks on more MP3 players or other devices incompatible with Audible, you can use Audible Audiobook Converter – Sidify Apple Music Converter to rip the DRM protection from Audioble AA or AAX audiobooks, and convert them to plain M4A or M4B at first. 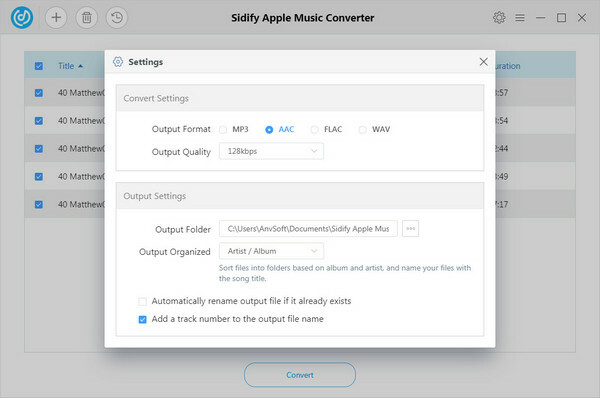 Tips: You can also use Sidify Apple Music Converter to convert your Apple Music songs or iTunes M4P music to regular MP3, AAC, WAV or FLAC with 100% original audio quality kept. Now, we would like to show you the simple steps to convert your Audible audiobooks to your MP3 player. Before start, launch iTunes on your computer to authorize your Audible account. Click Account > Authorization > Authorize Audible account. Then click File > new > playlist to create a new playlist and drag the Audible audiobooks into this new playlist. 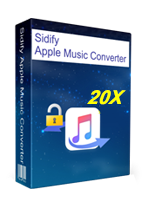 Launch Sidify Apple Music Converter and click icon, then a window will be shown to list your iTunes library. You can click Books on the top left panel, then all your audiobooks will be listed and you can select the audiobooks you want to convert. After finishing selecting Audible audiobooks, click "OK" to check. Then you can click icon to customize the output parameters. For example, you can choose M4A as the output format. And if you like, you can change the output path, output quality and conversion speed. Now, you can click on Convert button to start converting Audible audiobooks to M4A. After the conversion completed, you can click icon to check the converted audiobooks suffixed with .m4a. Finally, you can plug in your MP3 player to computer via USB cable, then copy the converted audiobooks to MP3 player directly. 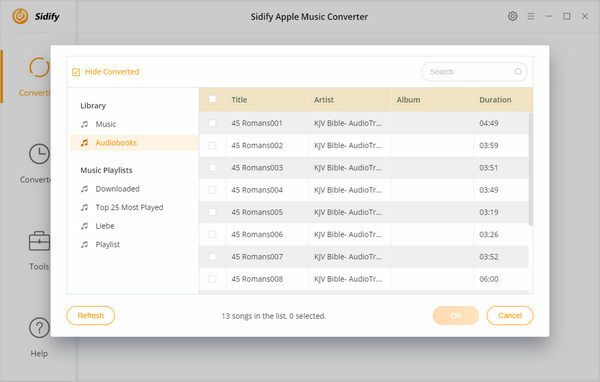 With 2 ways above, you can easily copy audiobooks from audible to any MP3 player, so you can choose one to operate by yourself according to the devices you own. Good luck and enjoy your time!